"Hey man." a dark man says. "I&apos;m sorry about this. We need a place to lay low." Steve says. "Everyone we know is trying to kill us." I say, still dazed by what happened. "Not everyone." he says. "I&apos;m Sam, by the way." "Rachel." I say. He looks up to Steve and wiggles his eyebrows. Steve just rolls his eyes. Okay, Steve likes me. "Bathroom is upstairs." he says. I go upstairs and wash my face off. 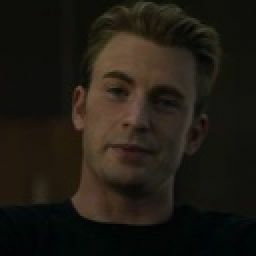 I wet a towel and sit on the bed so that Steve, who was patiently waiting in a tank top, (might I add) for the bathroom. "You okay?" he says, as I am patting my hair dry. "Yeah." I say, not meeting his eyes. "What&apos;s going on?" he asks. "When I first joined S.H.I.E.L.D. I thought I was going straight. But I guess I just traded David for HYDRA. I thought I know whose lies I was telling, but I guess I can&apos;t tell the difference anymore." I say. "There&apos;s a chance you might be in the wrong business." Steve says. I chuckle. "I owe you, again." I whisper. He shakes his head. "No it&apos;s not. First, you save me from dying then, you save me from dying again." I say. "I think you need to stop almost dying." he says with a smile. 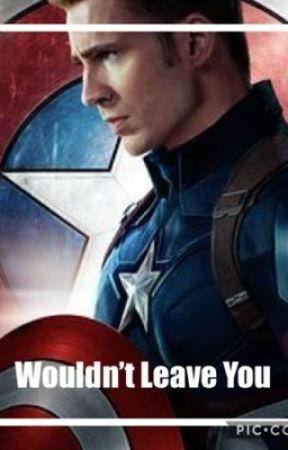 Wait a second, is Steven Rogers, leaning in? As in, for a kiss? Well, if my stomach wasn&apos;t already on fire from the tank top. I start to lean in. "I made breakfast." Sam interrupts. We quickly pull away. "If you guys eat that sort of thing." he says with a smirk. "So the question is, who at S.H.I.E.L.D. could launch a domestic missile strike?" I say. "Who happens to be sitting on top of the most secure building in the world." I say, walking over to Steve. "But, he&apos;s not working alone." Steve says puzzled. "Zola&apos;s algorithm was on the Lemurian Star." "So was Jasper Sitwell." I cross my arms. "So, the real question is, how do the two most wanted people in Washington kidnap a S.H.I.E.L.D. officer in broad daylight?" Steve questions. "The answer is, you don&apos;t." Sam says, and drops a folder onto the table that says EXO-7 THE FALCON. "What&apos;s this?" I ask. "Call it a resume." Sam says. "The Kahalid Khandil mission, that was you?" I ask. I turn to Steve. "You didn&apos;t say he was a Pararescue." "Is this Riley?" Steve asks, pointing at the other man in the picture. "I heard they couldn&apos;t bring the choppers because of the RPGs. What did you use, a stealth chute?" I ask. "No, these." he sets down a blueprint for one of Tony&apos;s flight packs. "I thought you said you were a pilot." Steve says with a smirk. "I never said pilot." Sam says chuckling. "I can&apos;t ask you to do this, Sam. You got out for a good reason." he says, sympathy in his eyes.